H. Richard Niebuhr set the bar for modern conversations about Christ and culture and, more particularly, what is to be done about what he called “the enduring problem” of human culture. This series is an attempt to facilitate dialogue about the enduring problem using Niebuhr’s work Christ and Culture as a foundation. The reader is invited to read Niebuhr’s book and join this conversation. In the paragraphs and series installments to follow, I will attempt to capture the essence of what Niebuhr is saying and in the process add my own insights. I will make every effort to clearly delineate between Niebuhr’s voice and my far less significant one. 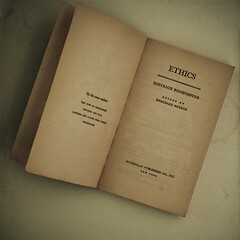 Admittedly, some have expressed animosity towards the idea of Christian ethics for at least a couple of reasons. First, the many examples where atrocities have been committed in the name of Christianity such as “[the] crusades, the Inquisition, the conquest of the Americas, religious wars, the Galileo affair, defences of slavery and patriarchy.”3 Second, because Christians are perceived as not caring about the natural world and the common interests of mankind. In fact, some would say “Jesus imperils culture.”4 An ethics of Christ and culture wants to decisively address the questions that arise in the human pursuit of “the good.” It wants to define what “the good life” is for humanity. It is not an attitude which can be ascribed to defective discipleship while the Master is exculpated, since his statements about anxiety for food and drink . . . the unimportance of treasures on earth . . . the fear of those who can take away life [see Matthew 6; 10:28] . . . as well as his [Jesus’] rejection in life and death of temporal power [Matthew 4]” all point to Jesus as the source of His followers’ convictions . . . .It is a baffling attitude, because it mates what seems like contempt for present existence with great concern for existing men, because it is not frightened by the prospect of doom on all man’s works, because it is not despairing but confident. Christianity seems to threaten culture at this point not because it prophecies that of all human achievements not one stone will be left on another but because Christ enables men to regard this disaster with a certain equanimity, directs their hopes toward another world, and so seems to deprive them of motivation to engage in the ceaseless labor of conserving a massive but insecure social heritage. I just got the book, and hope to start reading it tomorrow. Ah! Welcome to the club! I lookforward to discussing it with you! So, what was the book you had at home? The Klausner book? Niebuhr argues that regardless of the form of “culture” (Eastern/Western/Marxist), there is always tension between Christ and human activity, and with that I agree, but with a qualification that the more a society conforms with Christ the less the tension. For example: look at the economic system set up under the Mosaic law which we see illustrated in the Book of Ruth. Provision is made for widows and the poor. Also, in the Sabbath years and Year of Jubilee, materialism and greed are dealt with. I kind of think of Christians as walking along a path, and as long as society conforms to Biblical values, it walks along a parallel path, but when it varies from them, society’s path diverges. Until then there is not much tension, but now the “enduring problem” manifests itself. Niebuhr describes five different approaches that Christians take to work out the problem: opposition (withdrawal), agreement (which I would define as “liberalism”), synthetism (seeing Christ as above [and thereby distant from?] culture, dualism (struggling to submit to Christ’s authority as well as human authorities), and conversionist (of men and culture). I think I have tried all of those approaches, and one would expect them to be a personal, private concern. However, we can see that it is not. Over the years, the corporate search of Christians for our private answers to the “enduring problem” become a public concern. In fact, Niebuhr claims that “Jews…Greeks and Romans, medievalists and moderns, Westerners and Orientals have rejected Christ because they saw in (Him) a threat to their culture.” And that is the real enduring problem. The question of course is why? In his “The Decline and Fall of the Roman Empire”, which Niebuhr refers to, Edward Gibbon wrote: “The Pagan multitude, reserving their gratitude for temporal benefits alone,rejected the inestimable present of life and immortality which was offered to mankind by Jesus of Nazareth. His mild constancy in the midst of cruel and voluntary sufferings, his universal benevolence, and the sublime simplicity of his actions and character were unsufficient, in the opinion of those carnal men, to compensate for the want of fame, of empire, and of success…” In other words, “This, then, is the judgment: The light has come into the world, and people loved darkness rather than the light because their deeds were evil” (John 3:19). In his 1976 book, “How Should We Then Live”, Dr, Francis Schaeffer wrote—looking into what was then the future—about a time when Society would no longer tolerate “those who have a real absolute by which to judge its arbitrary values and who speak out and act upon that absolute.” Yet he ended his book with these words: “This book is written in the hope that this generation may turn from the greatest of wickedness, the placing of any created thing in the place of the Creator, and that this generation may get its feet out of the paths of death and may live.” Amen. In chapter 2, Christ Against Culture, Niebuhr divides his discussion into four sections: The New People and “The World”, Tolstoy’s Rejection of Culture, A Necessary and Inadequate Position, and Theological Problems. His thinking in the first section is based primarily on the Bible book of 1 John and the writings of Tertullian (160-220 A.D.). In his analysis of 1 John, Niebuhr tells us that its writer implies that “the counterpart of loyalty to Christ and the brothers is the rejection of cultural society”, and that the writer viewed the whole society outside the church—“the world”—as a realm under the power of evil, a region of darkness into which a Christian must not enter—a pagan society, a murderous order (Niebuhr, 48). He also claims that, because “the world with its lust is passing away” (1 John 2:17 HCSB), because Christ came “to destroy the Devil’s works” (1 John 3:8 HCSB), and because faith is “the victory that has conquered the world” (1 John 5:4 HCSB), the writer of 1 John is directing the loyalty of believers toward “the new order, the new society and its Lord” (Niebuhr, 48) – a “new and separated community” (49). Niebuhr also looks at Tertullian (c. 160-c. 225 A.D.), whom he assesses as early Christianity’s “greatest representative” of the Christ-against-culture type (51), which he later describes as “radical Christianity”. Drawing from this early Church father’s writings (Apology, xvii, The Soul’s Testimony, and A Treatise on the Soul, chapter xxxix), Niebuhr relates that Tertullian adhered to the notion that sin resides, not in human nature, but in Society—that “the universe and the soul are naturally good” (Niebuhr, 52). Thus, Tertullian admonished believers to withdraw from many public activities and occupations, including politics, military service, philosophy, the arts, believing that this would allow them to avoid “the stain of corruption” (55). In the second section, Niebuhr discusses the Russian writer Leo Tolstoy (1828-1910), whom he describes as having “stated the radical position as vehemently and consistently as Tertullian” (57). Indeed, in Tolstoy “Christianity” seems less focused on the internal life of the believer and more on the society around him, and specifically its institutions. Tolstoy, according to Niebuhr, saw “the state as the chief offender against life” (61), and the churches as “servants of the state, defenders of the reign of violence and privilege, of inequality and property”—“an invention of the devil” (61). And Tolstoy’s prescription was nonparticipation in government, rejection of church, and renunciation of property (62). In the third section of this chapter, Niebuhr argues that the “radical Christian”, anti-culture position is necessary. He focuses on the sincerity of those who, throughout history, have held this position, and the “heroic” appeal of their “willingness to abandon homes, property, and the protection of government” (66), to face martyrdom, and to endure suffering “due to obedience to Jesus Christ” (66). The reason that the anti-culture position is necessary, to Niebuhr, is that their rejections of various aspects and practices of society have frequently paved the way—albeit unintentionally—for social reform. Niebuhr finds intrinsic value in the anti-culture position as well. “The relation of the authority of Jesus Christ to the authority of culture is such,” he writes, “that every Christian (presumably including Niebuhr himself) must feel himself claimed by the Lord to reject the world and its kingdoms with their pluralism and temporalism, their makeshift compromises…” (68). The final section of the second chapter of “Christ and Culture” deals with the theological problems associated with the Christ-against-culture position. Beginning with the fallacy of the idea shared by both Tertullian and Tolstoy, that “the corruption of the culture…(and) not the corruption of…uncultivated (human) nature…is responsible for the long history of sin” (78), Niebuhr points out that this thinking can lead to the temptation to “divide the world into the material realm…and a spiritual realm” (81), and ultimately to the Manichean heresy (the view of reality as a struggle between equal forces of light—led by God–and darkness—led by Satan). Reading this chapter of Niebuhr’s book represented quite a challenge for me because I had never read any of the early Christian works he referred to (“The Shepherd of Hermas”, et al). Nor had I known, hitherto, anything about Tertullian or Tolstoy. I did know the Book of 1 John, but had never heard it discussed from Niebuhr’s perspective. Yet, because my own Christian experience bore testimony to the validity of the author’s argument, and because of its implications for today’s church, I found myself quite intrigued by it. To begin with, I think we have to note some problems with both Tertullian and Tolstoy that Niebuhr addresses. He points out (52) that Tertullian “comes very close to the thought that original sin is transmitted through society”, and that for Tertullian “the universe and the soul are naturally good”. This idea (that Society, and not man himself, is the source of mankind’s moral failures) has very serious consequences. We see it expressed later in history by Jean-Jacques Rousseau, the writer of “The Social Contract” (1762), and for all intents and purposes, the “father” of the French Revolution and the all national social engineering projects that have followed. And Niebuhr, I think, correctly assesses Tolstoy when he says that although he resembled, superficially, the writer of 1 John, Tertullian, and the monks in many ways, he showed “little understanding for the meaning of the grace of God” (64). I would go further to submit that Tolstoy was, in actuality, not a Christian at all, but more akin to the American Transcendentalists of his day (e.g., Henry David Thoreau) in that he substituted “for the Jesus Christ of history the spirit immanent in Buddha, in Jesus, in Confucius, and in himself” (82). And there is a time—a necessary time—for building walls and defenses, for planting and nurturing—for separation from culture. Before He ascended into heaven, Jesus “commanded” (Acts 1:4 HCSB) His early followers not to leave Jerusalem, but to wait for the Father’s promise. Yet, there came a time when that waiting period came to an end. On the day of Pentecost, the church raised their voice and spoke to their culture (Acts 1:2:14 HCSB). And the Bible tells us that on the day of Pentecost, three thousand people accepted the church’s message and were added to their number. Yet, one word of caution, I think, is needed. The Bible also tells us that “they devoted themselves to the apostles’ teaching” (Acts 2:41 HCSB). That should not be overlooked. Before the church is ready to leave the sheepfold and establish its frontier outposts, it needs to be prepared. Just as Tertullian embraced the idea of the perfectibility of man—a humanistic idea that is more in line with Greek philosophy than biblical theology—the church today is awash in a sea of postmodern deconstructionism.